Gartner projects the cybersecurity industry to surpass $170 billion worldwide by 2020, and MarketWatch anticipates revenues of $250 billion by 2023. In spite of this rapid increase in security spending, it isn’t easy for cybersecurity companies to gain traction in the industry. In fact, it’s been said that there are too many cybersecurity vendors, and many are starting to go out of business. - David DeWalt, former CEO of cybersecurity company FireEye Inc.
How can you build a brand that stands out in an ocean that’s teeming with cybersecurity fish? To differentiate your brand, try employing these marketing tactics tailored to the cybersecurity industry. What is it exactly that makes your brand special? Be specific here - as specific as you can possibly be. Your brand can’t do it all, so focus on what you are the absolute best at - whatever that may be. For the record, “we’re better” is not the answer. And neither is “we’re more secure.” What is it precisely that makes you better or more secure? Don’t be afraid to get overly specific. Are you utilizing some fancy new-fangled technology that makes your methods more reliable than competitors? Or maybe you can uncover threats twice as fast? Or perhaps your team is made up of top-tier industry experts and thought leaders? Once you have your strengths nailed down, it’s time to work on your elevator pitch. If you can’t cover your company’s strengths in your two-minute spiel, you won’t stand out in the mind of the consumer. All-in-all, it’s well worth your time to develop a succinct pitch that promotes your killer strengths. Cybersecurity can be a perplexing topic for the masses, and you won’t always be selling to technical experts. Your main messaging should be written such that anyone can understand the basics of what you do. If you can keep your message simple and clear, you’re more likely to stand out to those buyers who don’t speak the lingo. In other words, leave the jargon and technical terms for buyers further along in the purchase journey. Terms like DDoS, botnet, and dropper may be words used all the time by those in the industry, but most marketing or operations buyers will have no idea what you mean. Try simplifying your language and then offering consumers a chance to educate themselves. If consumers have no clue what DDoS means, they are unlikely to invest their time and money into protective security measures to prevent a DDoS attack. Cisco does a great job putting things into-easy to-understand terms. 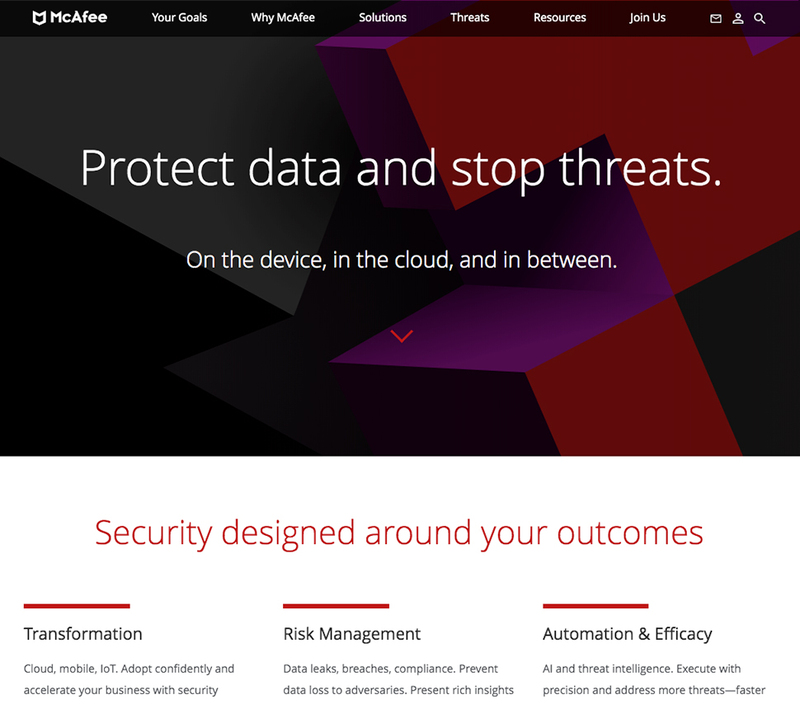 Their homepage currently advertises a new product, Cisco Stealthwatch. Instead of getting into the nitty-gritty, they describe the product in one simple statement. This sentence tells the reader the exact value the product provides, without bogging things down with complex technical speak. Instead of feeling confused, a business buyer recognizes the value they’re seeking and is likely to click Learn More. The bottom line is, if someone outside of your industry can understand what it is you're selling, they are much more likely to see the value of your service and to ultimately make a purchase. You know what they say: consistency is key. Keeping a consistent look, feel, and sound will help you stand out from the crowd and make your brand easily identifiable. Consistency also connects you with your audience. Consider creating a voice and tone guide. A voice and tone guide ensures consistency across all of your content by setting up guidelines for your copy across all mediums - like social media, emails, and your website. Speaking of websites, you may want to consider implementing a content strategy on your website. Websites aren’t just about look and feel; you need to be strategic about your copy as well. Equally important is setting up style guidelines. In short, a style guide outlines rules for using your brand’s visual assets, like your logo and colors. Often a style guide contains downloadable logos in multiple formats, color codes, and rules on how logos can be used or altered. As a marketer, I am rather partial to Uberflip’s style guide. It details absolutely everything you would ever need to know about representing their brand, including logo sizing, copywriting dos and don’ts, typography, and adjectives defining their brand’s personality. A more modest (but still great) voice, tone, and style guide written by a security company is this one from Trusona. It is short and to the point, but offers guidelines for ensuring everything sounds like it was written by the same person. A brand that delivers different messaging or changes its look from one day to the next is hard to figure out. Imagine if you had a friend who frequently switched up their personality, one day acting serious and reliable, and the next acting whimsical and flighty. It would be difficult to figure out that person’s true nature, and as a result, hard to trust them. The same goes for brands. Not to mention, inconsistency makes a brand harder to remember, which is not a good sign. High brand recall - or how easily consumers remember your brand - can help you compete in an overcrowded marketplace and it’s the consistent brands that are memorable brands. By keeping your branding consistent, you can develop a sense of trust and stability amongst consumers - which are crucial sentiments for a cybersecurity company to convey. As defined by HubSpot, buyer personas are semi-fictional representations of your ideal customer based on market research and real data about your existing customers. Personas reinforce and solidify the way you segment your target audience, and empower you to craft relevant messaging, offerings, and strategies for the prospects who mean the most to your business. If you haven’t crafted your buyer personas just yet, Impact offers a comprehensive, cybersecurity-specific guide on creating enterprise and small/medium business personas. 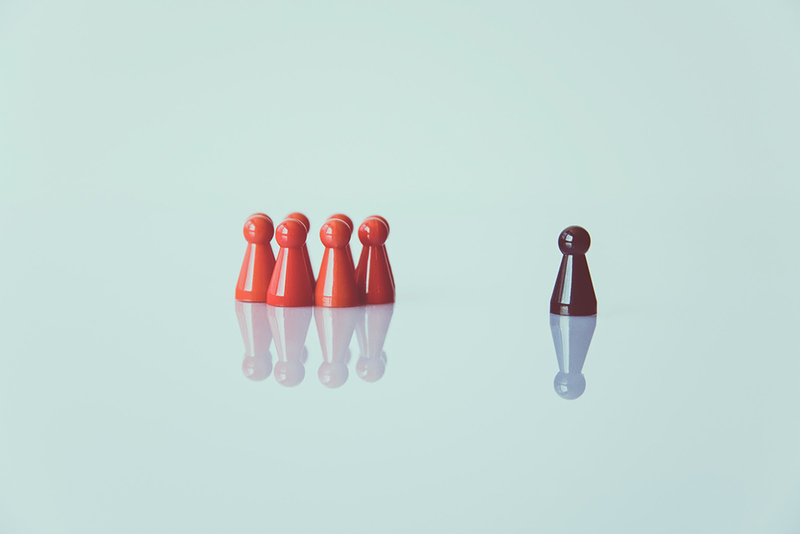 A key takeaway is that you should have an executive-level buyer persona and a technical buyer persona, depending on if you’re selling to the top, the bottom, or both. The last tip is a sneaky one, straight from our own Director of Events. Instead of hitting up major cybersecurity conferences (where you could have a hard time standing out without a major budget) follow your target audience! What sort of industry events do they attend? Tag along with your favorite clients to their favorite conferences, find opportunities to speak about cybersecurity in their industry, and get your name out there! Your digital marketing strategy demands content. And not just any content, but really great content. Content that adds value. The audience should be at the center of everything you write. Each piece of content you create should be tailored to one of your buyer personas. Writing to a specific persona will determine how technical you should be. Are you writing to the Chief Security Officer of a major enterprise? They are experts and probably don’t need technical terms and processes defined or simplified. On the other hand, if you’re writing to the CEO of a small business that sells hats online, you’ll want to stay away from the jargon and explain technical details in a way that’s easy to understand. 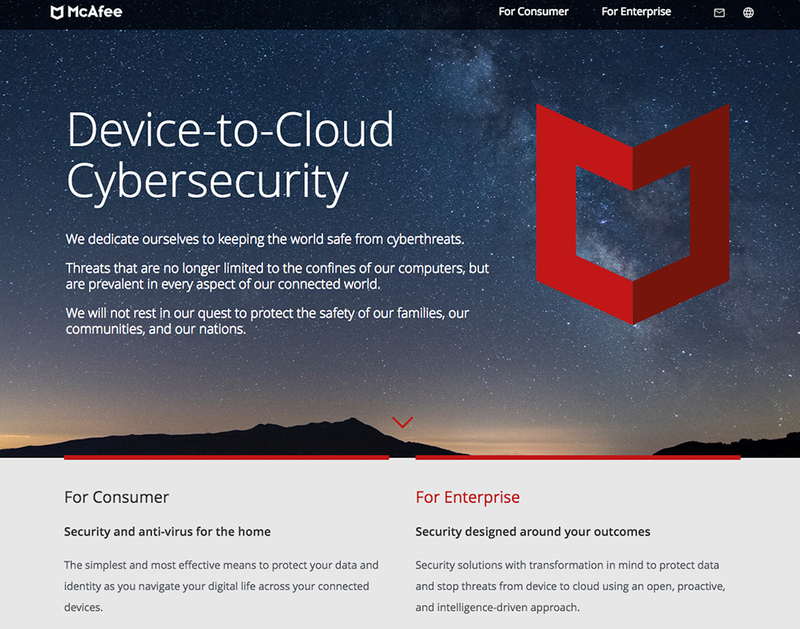 McAfee does a great job of dividing their content and adjusting writing style based on buyer persona, visible from the moment you hit the homepage. The language is easy to understand and there are separate sections of the website for the consumer and for the enterprise. 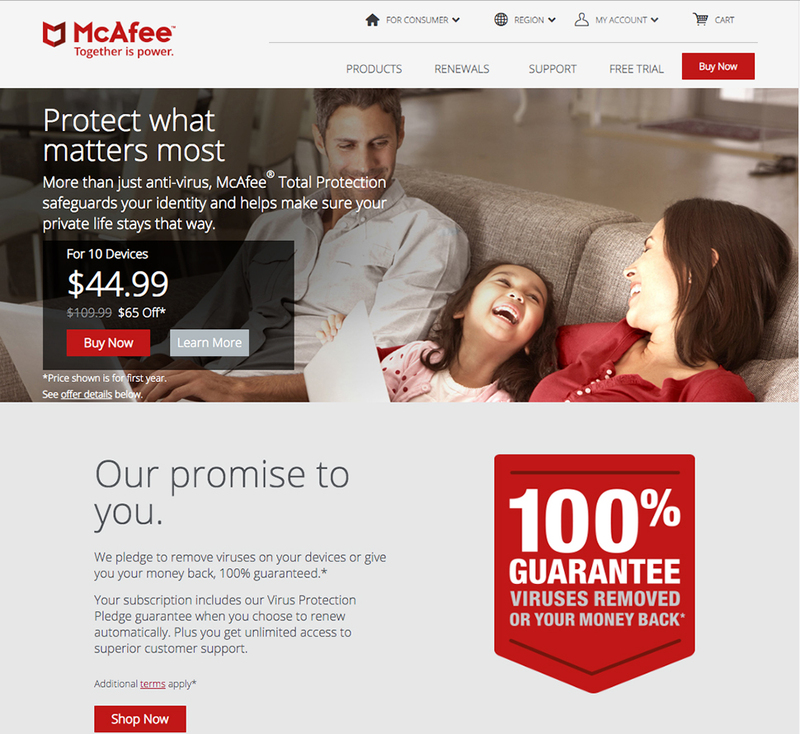 While the enterprise page includes technical terms and showcases numerous solutions, the consumer page highlights a virus removal guarantee and blog posts answering questions like “How To Tell If Your Smartphone Has Been Hacked.” It’s clear that McAfee has taken their distinct buyer personas into account, and used them to create content that meets their specific needs. 6. FUD messaging - avoid or implement? If you’ve been reading up on how to best market your cybersecurity company, you’ve probably heard urgent warnings to stay away from FUD at all costs. And that’s all true. There have been plenty of cases where FUD has not worked, and where positivity has garnered far better results. But let’s dig a little deeper on FUD messaging. FUD isn’t just about scare tactics. In many ways, it’s rooted in psychology. Loss aversion is just what it sounds like - people want to avoid losses. In fact, we like to avoid loss so much, that we are inclined to choose not to lose something, over gaining something. In other words, we are often happier not losing $5 than we are in finding $5. Loss aversion plays an important role in consumer purchasing behavior. One study found that when consumers were asked to create a basic pizza by removing ingredients from a fully-loaded pizza, or by adding ingredients to a plain pizza, those who had to remove ingredients ended with far more toppings on the pizza. People don’t want to lose what they already feel like they own. Based on this theory, shouldn’t we tell people about all the data they stand to lose by not implementing cybersecurity? Keeping that in mind, let’s take an opposing look at some of the above reasons FUD messaging does not work. First, FUD messaging does not have to be that scary. You don’t need to give consumers nightmares - you just want them to face reality. Take a look at this statistic, for example. This is an example of FUD messaging. It’s designed to scare the reader into taking action. If I see this message but have no idea what your company does, it probably won’t be effective in inciting action. Instead, I will probably ignore it. 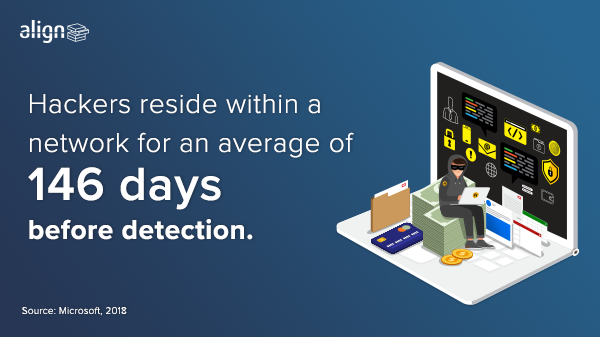 But, if I see this stat followed by messaging that tells me your company’s threat detection services unearth hackers after an average of 30 days and offers a free trial - I am less likely to scroll on by. When faced with a fear, people will do whatever is easiest to manage it. Oftentimes this results in the oh, that will never happen to me mindset. 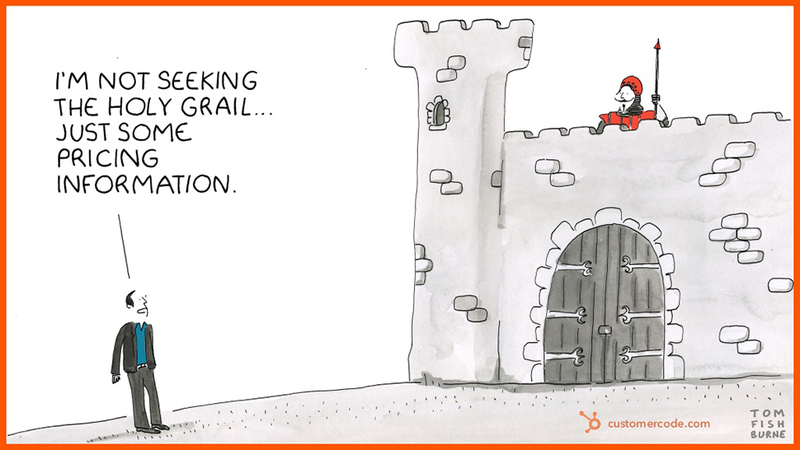 The key is making it as easy as possible for the customer to resolve their fears. This means your solution needs to sound simple enough to understand and seem effortless to implement. You want to frame your solutions as the simple and timely way to mitigate those cybersecurity fears. FUD messaging works well as long as the way to alleviate the fear, uncertainty, or doubt seems easily doable. Hang on a minute - first, you said FUD messaging flat out doesn’t work. Now you’re saying it does. What am I supposed to do? Ultimately, you have to see what messaging resonates with your audience. The evidence for each angle is certainly conflicting, so the best thing to do is to start testing. By testing each emotional approach, you’ll be able to uncover which strategy - and it could be a little of each - resonates more with your audience. Tenent 8 of HubSpot’s Customer Code says “I don’t mind paying, but I do mind being played.” Customer’s want pricing to be simple, transparent, and fair. They don’t want to be stumped when it comes to determining how much your services cost. In fact, a HubSpot survey found a confusing pricing strategy keeps 69% of buyers from making a purchase. So what can you do? Make your pricing information available on your website. You want to make it as easy as possible for potential customers to understand what it is they need to do. People do not want to jump through hoops to figure out how to mitigate security risks and do business with you. Make it clear how your services will impact their budget. Customers will appreciate the simplicity and perceive less risk in reaching out to you. If you are finding that your competitors are outranking you on search engines, your organic traffic has slowed, or you just want more website visitors, it’s time to conduct a search engine optimization audit. An SEO audit is the process of analyzing how search-engine-friendly your website is and identifying areas in need of improvement. If you haven’t conducted an SEO audit before, start with this audit guide, created by one of our digital marketers. If you’re still not sure where to begin - our SEO experts can help get the ball rolling. Customer feedback, positive reviews, and case studies are all great ways to highlight customer success and leverage the theory of social proof. The social proof theory says that a person will look to the behavior of others when he or she does not know what to do in a new situation. Let’s say someone visits your cybersecurity website and they aren’t certain if they need your services. They peruse your site and come across a case study that - because you wrote it with your buyer persona in mind - happens to describe a situation very similar to theirs. The case study concludes with a statement from the client, describing the experience in their own words and raving over your services. The reader will be influenced by this case study and testimonial and is much more likely to continue through the buyer’s journey. Take advantage of opportunities to gain feedback from your client’s and - with their permission - share those glowing reviews on your site. FUD messaging - avoid or implement? You’ve got to start somewhere, so pick a tactic and get to it - even just one can make a considerable difference for your cybersecurity brand. Need help getting started with marketing, or looking for a team to tackle it for you? Look no further. Our marketing specialists are ready to help with every element of your marketing strategy. Let us know how we can help.